No. 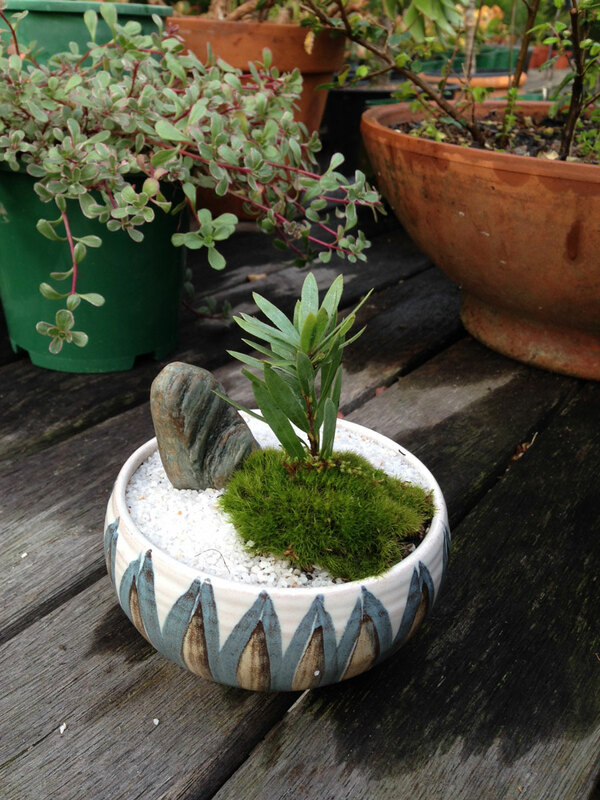 1 is a young bottlebrush tree with rock, white gravel, and creeping moss, all tucked away into a vintage handmade New Zealand bowl from Hanmer Pottery. It’s early springtime now, so I’ll post a “no. 1b” in the fall so we can see summer growth and the effects of a bit of pruning.